Produktinformationen "Gorilla Wear Track Pants black grey"
Looking for a pair or Track Pants that aren't like those everyone else wears? A pair that says "This is me!"? Look no further, you've found them! These pants come in black, with a Yellow, Red, Asphalt or White colored vertical strip along the length of both sired with GORILLAWEAR on it. Twice. so you can't miss it. 100% polyester keeps the pants as dry as possible. 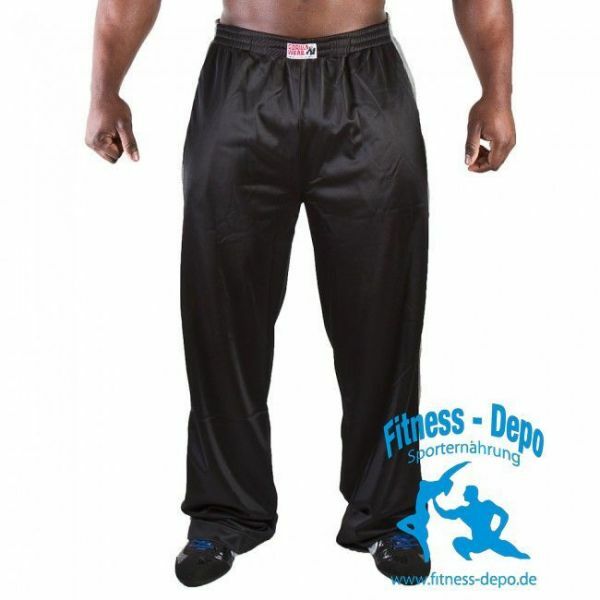 Weiterführende Links zu "Gorilla Wear Track Pants black grey"